Matching up with the ever increasing requirements of the customers, we are engaged in providing high quality assortment of Metallized Film. 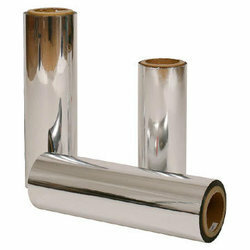 Our organization is actively devoted towards offering a wide gamut of Metalized BOPP Film . we have the capacity to produce metalizing plastic films in various specifications of microns and optical density. 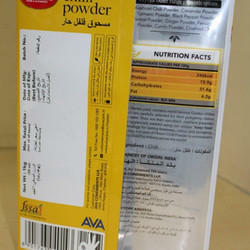 In addition to this, our metalized films provide an excellent barrier against light, moisture, gases, etc. Aimed at prosper development in this industry, we are instrumental in offering Holographic Metalized Film . Medium for Sirius Acrylic colours. Dries to a waterproof deep and matt film. The most matt finish of all Lascaux Mediums. Can be used with allother Lascaux Acrylics colourlines.